The lives that we lead are anything but predictable. They say that life is a journey, however, the path is not a paved road that leads straight into the horizon. While at times it might seem easy, you never know when the trail will stop and an unexpected and looming obstacle stands in your way. It’s the same for everybody, we go through good times and a fair share of the bad, and sometimes the bad can seem nearly impossible to overcome. This is when we rely on those around us. Neighbors, friends, and even strangers that are willing to lend a helping hand during hard times. This is one of the most endearing things about humanity, our willingness to help those in need. At OUR Center, it is our mission to help strengthen the community by helping people find the road to self-sufficiency through multiple services, events, donations and more. In this blog post, we’ll be discussing a few of the many benefits that come with giving back to your community and helping those around you. If you would like to learn more about our community center and the hospitality care that we provide in Longmont, or you would like to volunteer or donate, then please feel free to contact us today. One of the main reasons that people decide to volunteer and build up the community is, of course, the positive impact that you will have on those that you help. There are many out there who struggle with self-sufficiency and are reliant on the caring nature of those around them. While donations help immensely, time is just as important. Any extra time spent helping those in your community will have helped those in need, even if you’re not thanked for your actions. For anyone that has volunteered in the past, you know that volunteering provides you with an indescribable feeling. Not only will you feel a personal sense of fulfillment, but you will also gain a large dose of gratitude while helping those that are less fortunate than you. 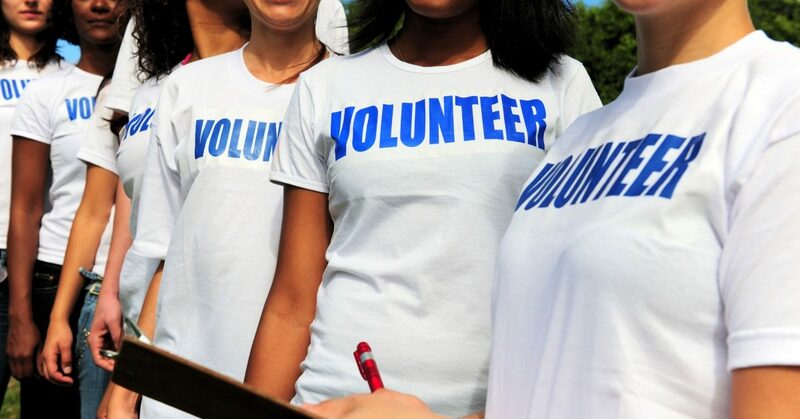 Volunteering has also been found to help with your health, both mentally and physically. No one person makes a community. Instead, it is a collective comprised of individuals. The strength of our community is determined by each and every one of us, and we are only as strong as our weakest link. A strong community is one that has residents who support one another and pick each other up, even in their darkest times. Volunteering at your local community center is a great way to meet like-minded people and broaden your network. This is true of your fellow volunteers, but also of those that you are helping. It’s never a bad thing to get to know your neighbors, and volunteering is a great opportunity to do this. When a stone is dropped in a pond, the action creates ripples that carry on throughout the water in all directions. The same goes when you make a positive impact on someone’s life or just their day. The act of volunteering will encourage those around you to do the same, and those that are suffering through hard times will likely reciprocate the action when they are self-sufficient once again. This ripple effect will reach far beyond your individual actions and help build a stronger community. Helping others is a powerful act and helps to make your city, and the world, a better place. If everyone gave a little bit of their time to lend a hand, there would be much less pain and suffering. If you have never volunteered before, it only takes one time to realize how rewarding it is for all those around, including yourself. At OUR Center, it is our honor to help bring our community and help those in need to find self-sufficiency. If you have been looking for a way to give back or are hoping to begin or continue volunteering, then don’t hesitate to contact our non-profit community and help us strengthen the city of Longmont. Even if you don’t have much to give for donations or much time for volunteering, any act will help!